As a matter of fact, we do find myths associated with most of the things in our lives. Basic cause is the human psychology wherein we, as a human race have a tendency of portraying something without due verification. On the same lines, the Common Admission Test conducted for admissions in management institutes across the country carries some myths as well. We should have an idea about those myths otherwise our performance may get affected. In this article, we would like to highlight some of them so that you are clear and this shall certainly shall help you for PGDM admissions 2019. 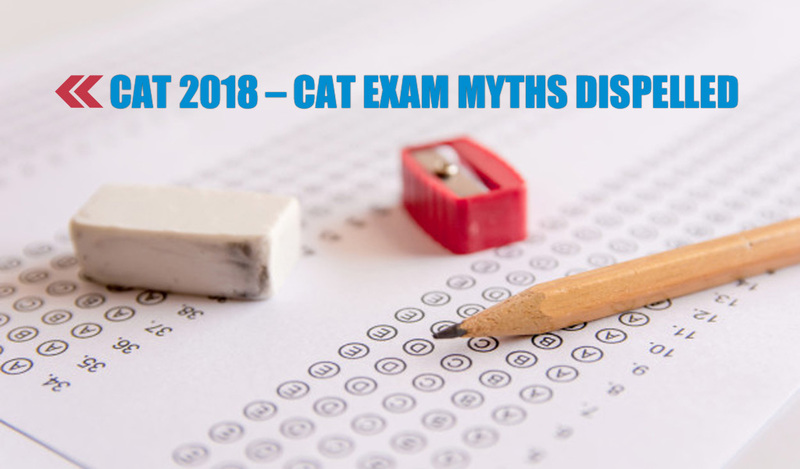 Certainly CAT Exam is conducted by any one of the IIMs every year and so shall be the case for CAT 2018, but there are more than 1000 management institutes across the country that use CAT scores as a benchmark for purpose of admissions. These institutes include even some of the premium ones as well. Hence CAT is not just about the IIMs as you shall be eligible to apply to quite a number of institutes based on your CAT score. Most of the people would be of the opinion that CAT Exam is extremely tough. But the matter of fact is that over the years, the test has maintained a moderate level of difficulty. Majority of the above average Grade X students would be in a position to answer most of the questions asked in CAT. So you should not distress yourself too much harboring this myth. You need to understand that CAT is not at all about solving all the questions, instead the candidate should aim at answering more questions in lesser time and also with higher percentage of accuracy. Hence Time Management is very crucial while appearing for CAT exam. So you should leave the questions that are time consuming and keep on focusing on questions that can be solved in lesser time. At the same time, you need to focus on accuracy as you may tend to lose marks in case your answer is wrong. Quite a few candidates believe that obtaining a decent score is good enough to get admission in a good management institute. However, scoring a good percentile is only the first step in the complete admission process. The candidate needs to be smart enough to do well in subsequent processes that include Group Discussion and Personal Interview. The final selection of candidate is carried out on the basis of CAT Score, Performance in Group Discussion as well as in Personal Interview, with each parameter having a different weightage. The only advantage that the engineering graduates may have over others is that they generally find quantitative ability part easy on account of their graduation discipline. However, you need to understand that the questions asked in the said portion are mostly of Grade X standard and hence any non engineering student would also be in a position to solve most of them. At the same time, with concerted efforts towards improving classroom diversity, getting through IIMs or any other top management institutes like Asian Business School, Noida is now pretty much a level playing field. As a matter of fact, some of the most brilliant students in some of the top PGDM colleges are actually females. It has been observed that more than one third of the students at IIMs are females.